Is the Boston Terrier right for you? Find your perfect match now! The perfect dog for any formal occasion, the Boston Terrier comes dressed to impress. 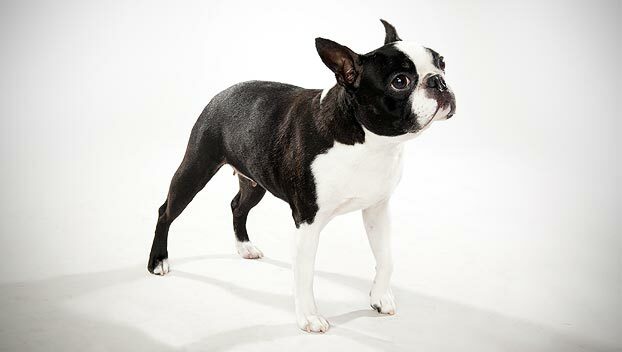 The tuxedo-like black and white markings make the Boston Terrier a fancy canine companion indeed and the brindle and brown varieties are no less stunning. She's also doggedly devoted, if you'll pardon the pun. 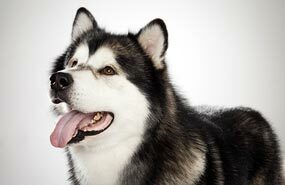 No wonder this breed is so wildly popular! These sturdy, small-sized, and medium-energy dogs can grow to between 10-25 pounds and live an average of 13-15 years. The breed is recognized by the American Kennel Club—in fact, they were the the first American Kennel Club-recognized dog to be bred in the United States. Boston Terriers are classified as a member of the Non-Sporting group. WHAT IS A BOSTON TERRIER'S PERSONALITY LIKE? Boston Terriers love people. These dogs are intelligent, boisterous comedians. 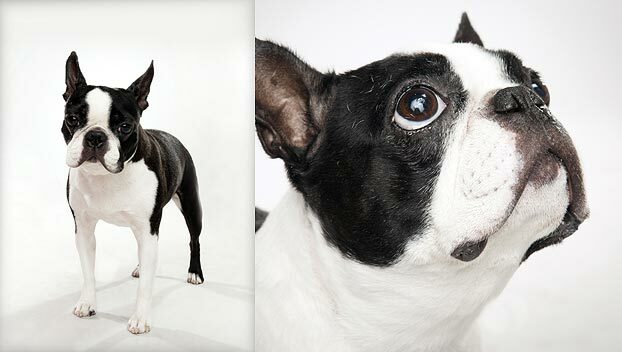 Described as sweet and clown-like, Boston Terriers are tenacious yet accommodating. This dog's sweet and energetic nature is a great fit for supervised play with kids. They can be friendly with other dogs but do best under supervision. They're often great with family pets and other small animals, and they're usually friendly toward strangers. WHAT IS BOSTON TERRIER BEHAVIOR LIKE? Boston Terriers are active but prone to overheating, so keep an eye on them and be sure to carry water with you on hot days. Boston Terriers are also a somewhat noisy breed: they tend to be flatulent, and they grunt, snort, and snore. However they're infrequent barkers — they mostly bark during playtime or when someone comes to the door. They need daily exercise—a short jog, rowdy game, or walk should do the trick. They love to chase balls. HOW EASY IS IT TO TRAIN A BOSTON TERRIER? Intelligent and determined, the Boston Terrier is a very biddable dog. Obedience training will help challenge this smarty-paws. HOW MUCH DO BOSTON TERRIERS SHED AND WHAT ARE THEIR GROOMING NEEDS? 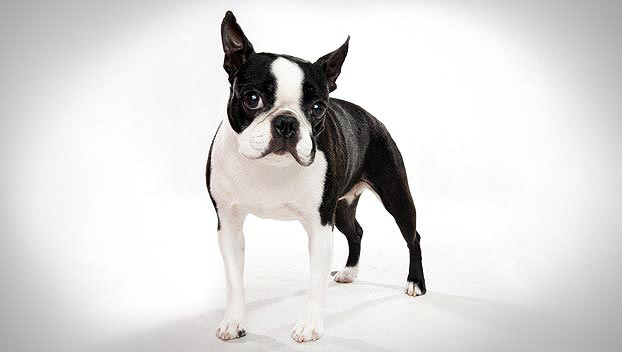 A Boston Terrier's short coat is fine and flat. They are minimal shedders who don't require much grooming. Brush them weekly and bathe as needed. You might want to carry eye drops to flush debris or dust from their big eyes. 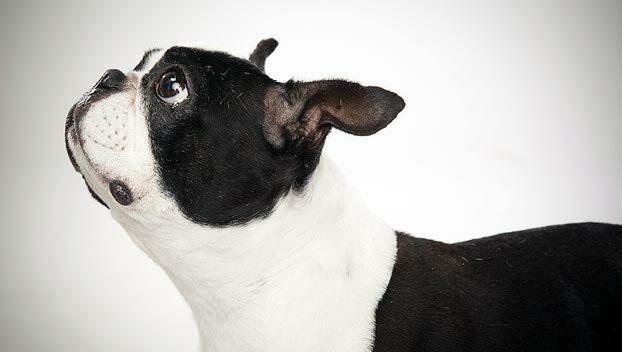 WHAT HEALTH PROBLEMS DO BOSTON TERRIERS HAVE? Boston Terriers are usually healthy. They can be prone to respiratory issues and eye injuries. ARE BOSTON TERRIERS GOOD FOR PEOPLE WITH ALLERGIES? The American Kennel Club doesn't list Boston Terriers among its breeds recommended for allergy sufferers. You can reduce your furry friend's impact on your allergies with frequent baths and brushings to reduce loose hairs and allergy-aggravating proteins in your pet's dander. Use a damp cloth to wipe off your dog after playing outside. Smaller dogs have less surface area, so they produce comparatively less dander than larger breeds — definitely something to keep in mind with a dog as small as a Boston Terrier! Remember that no breed is 100% hypoallergenic, and any breed can aggravate allergies. WHAT'S A BOSTON TERRIER'S BEST DAY? A day strolling downtown and soaking up all the admirations from strangers would perk this pup right up. Follow it with a delicious little treat and your Boston Terrier will feel like royalty! SHOULD I ADOPT A BOSTON TERRIER? These dogs are sensitive to heat and cold. Be particularly mindful of your Boston Terrier in high temperatures — they're prone to overheating. And if you're looking for a dog to run with while you train for the marathon, Boston Terriers are with you in spirit but probably won't be able to keep up. Boston Terriers, true to their name, are great city dogs. They're trainable, easy-going, compact, and happy to see new people. This breed makes for funny, loyal companions. They're calm housedogs with enough exercise, and it's easy to ensure they exercise enough. They won't drag you out to the dog park for days at a time or bankrupt you at the groomers. This breed just wants to spend time with you. Short and sweet, Boston Terriers are wickedly good dogs. Have you decided that a Boston Terrier is the perfect dog for you? Why not be your new best friend's hero and adopt a rescue! Be sure to check out our article on what to expect when you're adopting a dog or cat.